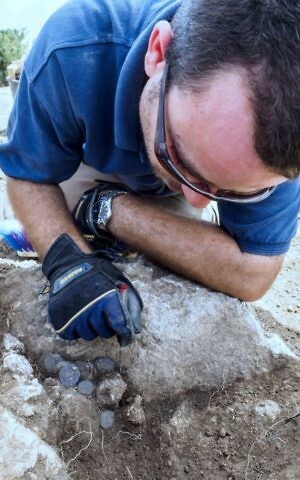 Archeologists in Israel are excavating a hoard of silver coins dating to the Hasmonean period (126 BCE). 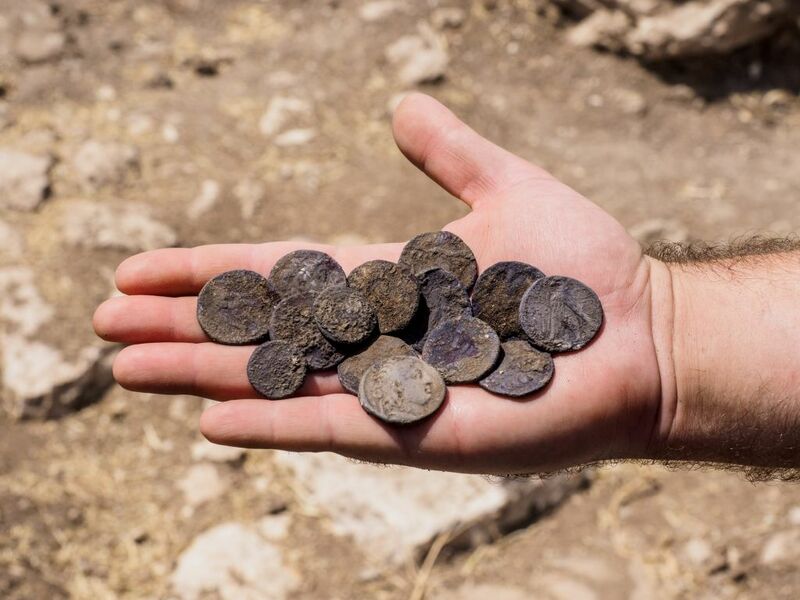 The Israel Antiquities Authority is carrying out the work near Modi‘in, with the participation of local youth, after the discovery of the relics in April. 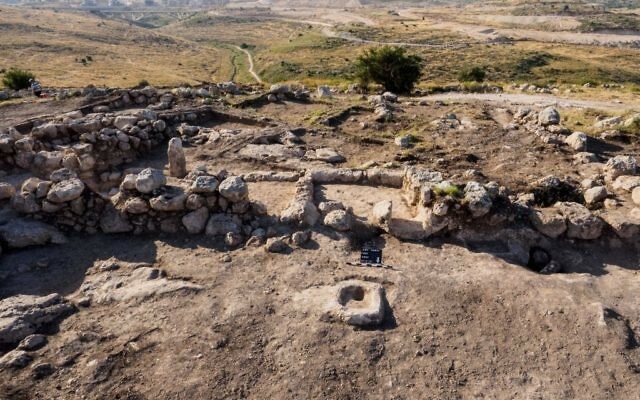 The excavation is being carried out prior to the construction of a new neighbourhood, at the initiative of the Modi‘in-Maccabim-Re‘ut municipality. 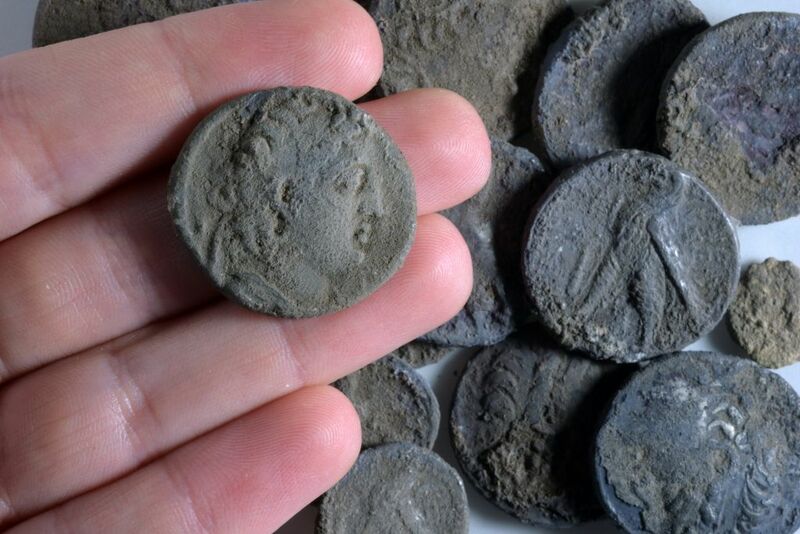 The treasure was hidden in a rock crevice, up against a wall of an impressive agricultural estate that was discovered during the excavation there. Avraham Tendler, director of the excavation on behalf of the Israel Antiquities Authority said: “This is a rare cache of silver coins from the Hasmonean period comprised of shekels and half-shekels (tetradrachms and didrachms) that were minted in the city of Tyre and bear the images of the king, Antiochus VII and his brother Demetrius II. “He buried his money in the hope of coming back and collecting it, but was apparently unfortunate and never returned. 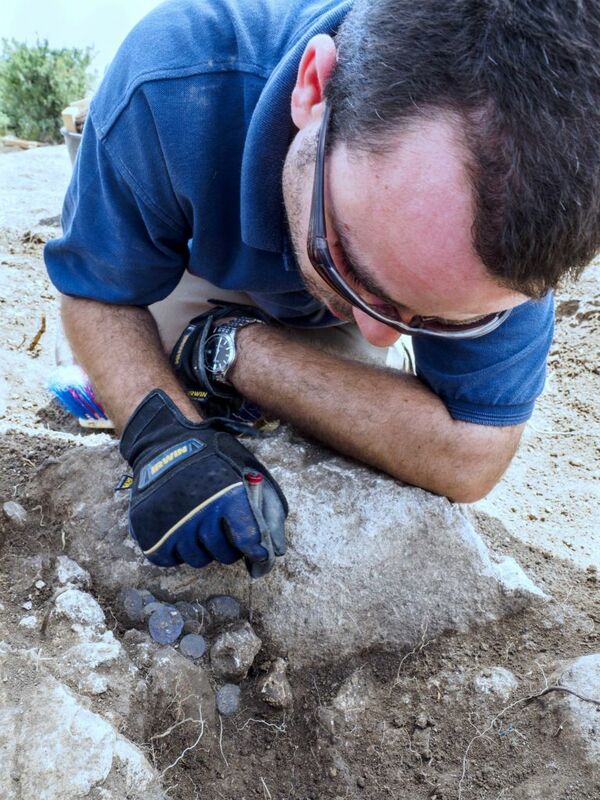 It is exciting to think that the coin hoard was waiting here 2,140 years until we exposed it”. 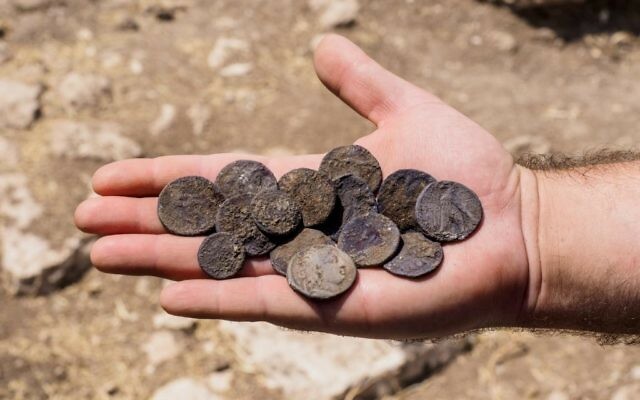 According to Dr. Donald Tzvi Ariel, the head of the Coin Department at the Israel Antiquities Authority: “The cache, which consists of 16 coins, contains one or two coins from every year between 135–126 BCE. A total of nine consecutive years are represented. “It seems that some thought went into collecting the coins, and it is possible that the person who buried the cache was a coin collector. He acted in just the same way as stamp and coin collectors manage collections today”. 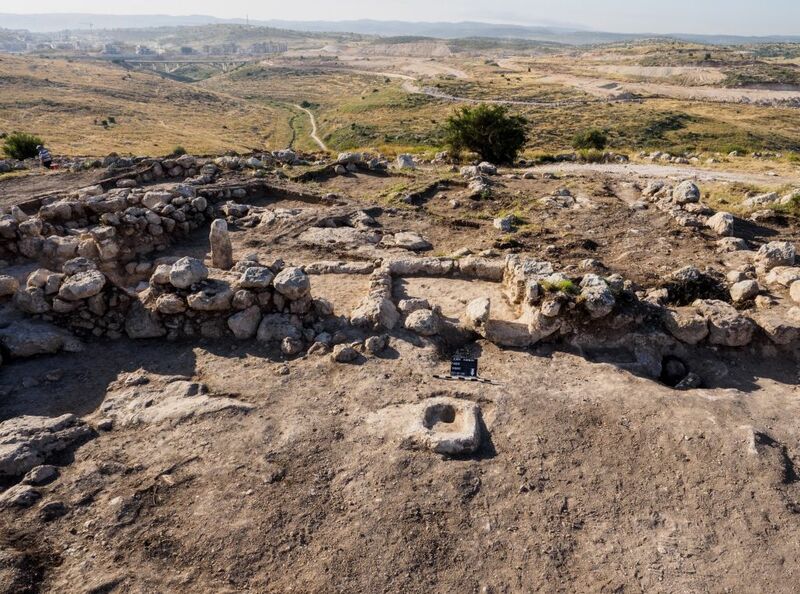 Tendler added, “The findings from our excavation show that a Jewish family established an agricultural estate on this hill during the Hasmonean period. The family members planted olive trees and vineyards on the neighboring hills and grew grain in valleys. An industrial area that includes an olive press and storehouses where the olive oil was kept is currently being uncovered next to the estate.